In this issue, Jag Dalal, COP, Director of Thought Leadership, IAOP, provides commentary on how technology and the aging workforce will impact outsourcing in the future. Both automation and the changing demographics will alter how business models operate and the roles “workers” play in the future. Dalal asks: Are outsourcing professionals preparing themselves to be relevant in this changing world? The Future of Jobs 2018 report predicts that by 2025 more than half of all current workplace tasks will be performed by machines versus 29 percent currently. But the overall impact on job growth will be positive, according to the report, because companies will pair software, machines and artificial intelligence with human labor. Whether it is robotic instruments and machines or robotic processes, automation is changing the size of the workplace. It will also change the skill requirements for the workforce that work with machines or those who help produce or create them. Outsourcing that has depended on well-defined skill sets and a predictable process map will also change as a result. The question will be how significant the changes will be in this new business environment and how they will drive outsourcing strategies and offerings. According to this article, a surge in retirements by baby boomers over the next few years will leave many large companies with unsupported legacy systems and the problem could only grow worse. The combination of retirements and industry growth will create some 140,000 open jobs in the IT segment annually over the next seven years, according to IT trade group CompTIA. Not only will the aging of the workforce be a critical issue so will the shortage of new in-demand skill sets. Another recent report has indicated that by 2025, 80 percent of the required skills in such areas as robotics, cloud computing and blockchain programming are still not widely available in our educational framework. Outsourcing is dependent on having a skilled labor pool for services and will have to adjust and alter their approach. The issue is not just in the U.S. The aging of the global population also will reduce the available workforce. According to a recent United Nations report, the African continent and India will have higher numbers of available people in the appropriate age group to feed the workforce. 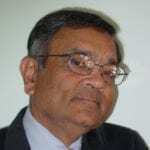 Jag Dalal is IAOP’s Chief Advisor, Thought Leadership. He is a world-renowned authority and coveted speaker on management strategies, technology, and outsourcing. His deep experience as a business executive who contracted for these services as well as his leadership experience in establishing outsourcing practice for some of the world’s largest professional services companies; allow him to bring a unique perspective to consulting. JDalal Associates, LLC specializes in consulting in the field of Information Technology, Change strategies and Business Process outsourcing. His clients range from Fortune 100 companies to small “startup” companies from around the globe.